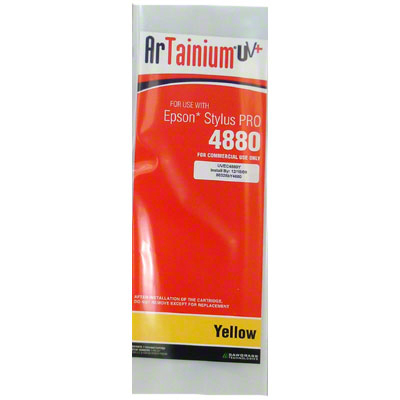 Yellow, 110ml Cartridge ArTainium UV+™ Sublimation Ink,for the Epson Stylus Pro 4880. Stringent manufacturing ensures stability and consistency. In addition, proprietary ICC color management profiles provide stunningly accurate results. SLOT #4. 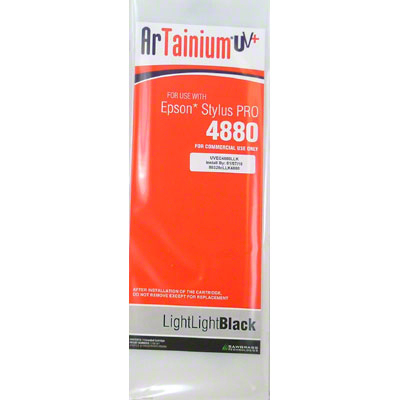 Black, 110ml Cartridge Artainium UV+ Sublimation Ink,for the Epson Stylus Pro 4880. 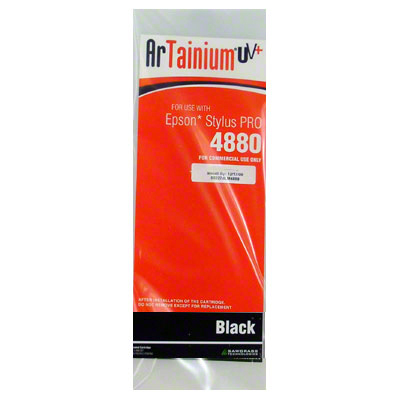 ArTainium UV+ inks utilize a proprietary method of dye particle encapsulation. This makes them the most UV resistant sublimation inks available. SLOT #1. 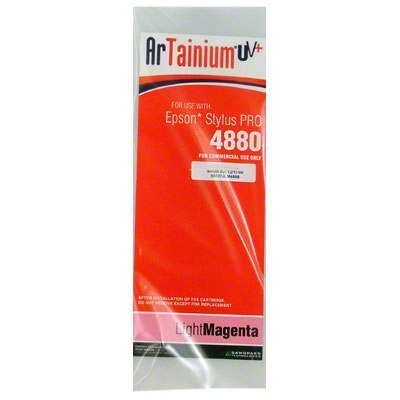 Magenta, 110ml Cartridge Artainium UV+™ Sublimation Ink,for the Epson Stylus Pro 4880. The ArTainium range of ink has become recognised as one of the leading brand of Sublimation inks for small format printers. SLOT #3. 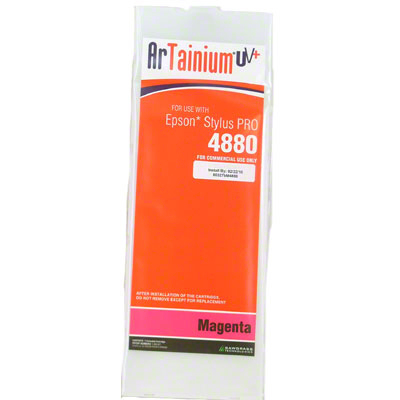 Light Magenta, 110ml Cartridge Artainium UV+™ Sublimation Ink,for the Epson Stylus Pro 4880. ArTainium sublimation ink produces stunning graphics quickly and easily, enabling your business to capitalize on the visual power of sublimation. SLOT #7. 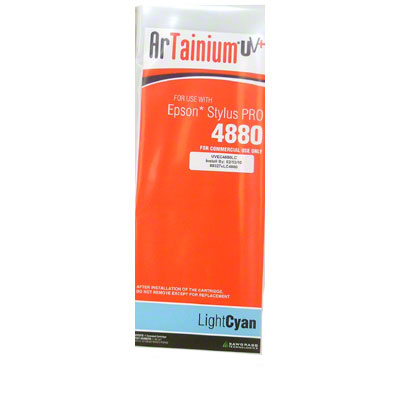 Light Light Black, 110ml Cartridge Artainium UV+™ Sublimation Ink,for the Epson Stylus Pro 4880. Used in Slot 8. 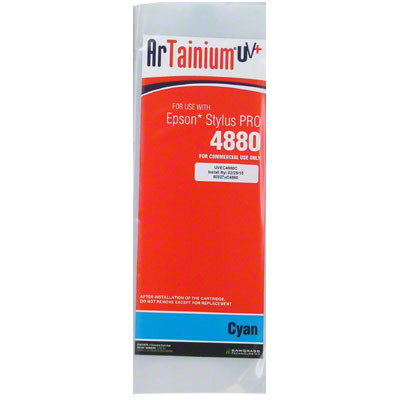 The hallmark of Sawgrass ArTainium sublimation ink is reliability combined with affordability. SLOT #8. 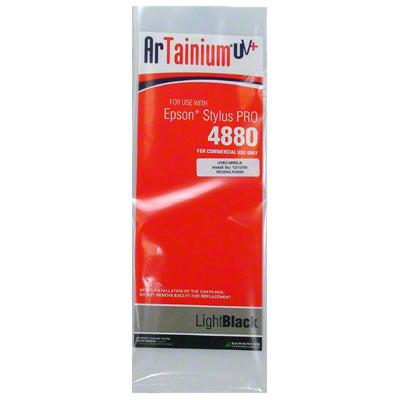 Light Black, 110ml Cartridge Artainium UV+™ Sublimation Ink,for the Epson Stylus Pro 4880. Bright colors pop with vibrancy and all colors have excellent chromaticity. This fact alone makes ArTainium UV+™ the ink of choice. SLOT #5.